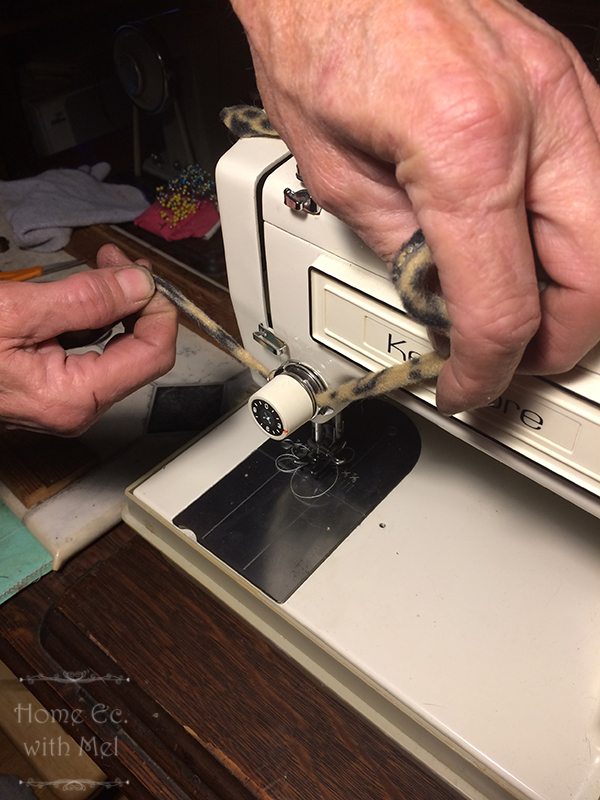 Hello, everyone, I was working on a vintage sewing machine the other night that was immaculately clean, everywhere!!! No lint fuzzies, dust, old oil anywhere. It was spotless everywhere except for the upper tension disks. They were spotless to the eyes but sticky to each other. Having seen this before on my own machines I knew how to quickly solve the problem. 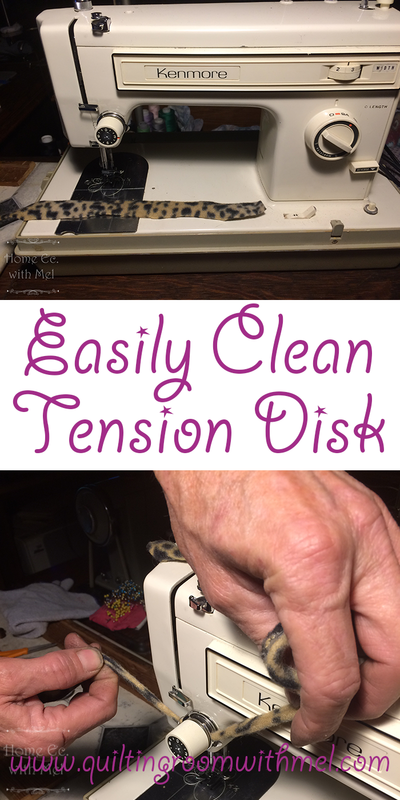 I thought I would share the fastest easiest way I know of to eliminate sticky tension disks without disassembly. Now having said all that, I would like to backup and bring you all up to speed on this entire situation. One of the guys at work asked me if I would look at his daughter’s sewing machine, I naturally said sure, what is she having problems with. Well he says, She bought it last year when she was moving back home and didn’t have room for it when she got to mom and dad’s house so it was put into the closet without opening it. 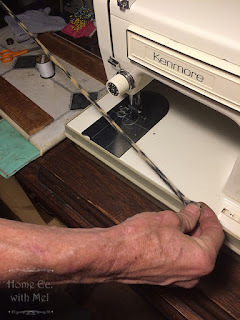 Fast forward to two weeks ago, she opened it, set it up, threaded it by the book and began sewing beautiful thread nests, and snarls, after locking up the hook several times she gave in. Her mom is an avid seamstress and she couldn’t get it to function either so she had another seamstress give it a shot and still no good. Tension won’t adjust and it has a lot of problems picking up bobbin thread now. Couldn’t be returned, no warranty authorized dealers in a 200-mile radius. It doesn’t sound so good, does it? Also doesn’t sound vintage either so here we go, Moms solution to resolve the Christmas present projects planned by the daughter. Sorry forgot to tell you she had already spent big bucks for fabric and trim for projects she wanted to do for friends and family Christmas. Any way mom’s solution, Grandma’s old machine!!! Hadn’t been used in years but she sewed everything from silks to canvas with it. So it should do just fine. Grandma’s machine is a mid-80’s Taiwan made Necchi and it is in pristine condition and as expected it was dry and needed oiling. But grandma should have skipped the last heavy canvas sewing job she used it on because the timing was off and the needle height needed adjusted. Once that was done the tension disks were sticky almost like wax. The disks looked clean but the thread acted tacky. Now we are finally to the part where I share a trick or two with you. 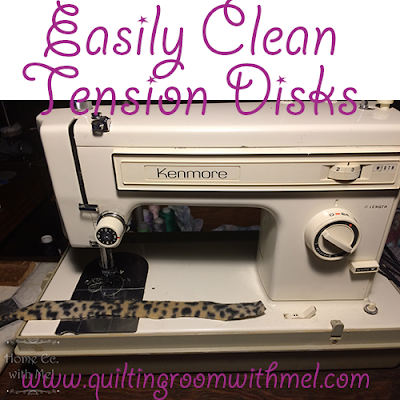 When I just want to clean the tension disks and buff them up a little I use a short strip of fleece, 8-10 inches long and ¾ to 1in wide. 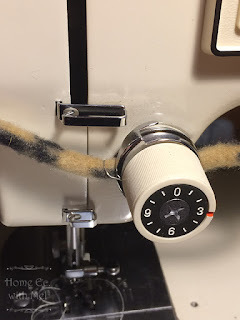 When you stretch fleece it tends to curl into a round hollow tube and it will grow in length. With the feed dogs raised and the disks released this tube will slide easily between the disks. If I am just buffing some excess oil residue from the disks then I will use a dry piece of fleece and lower the feed dogs to reapply pressure to the tension disks and gently pull the tube back and forth between the disks. 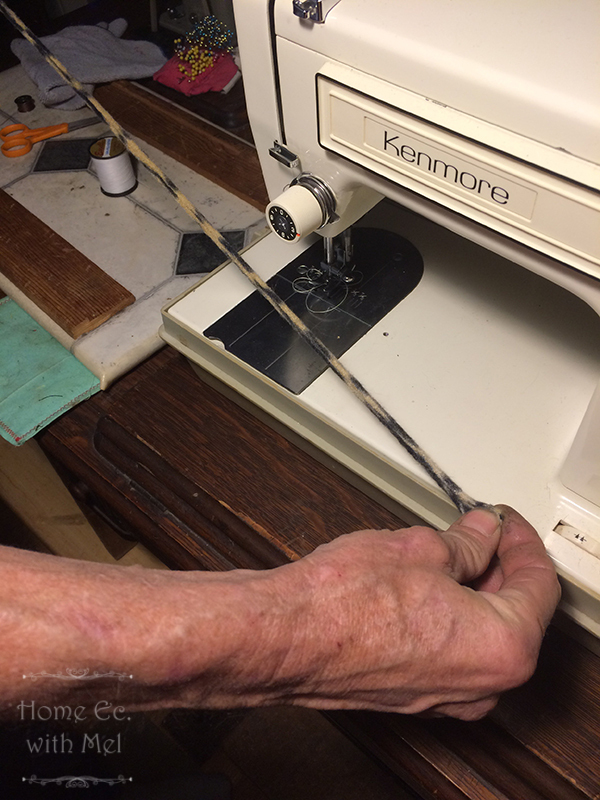 It is imperative that great care is taken not to damage the check spring while working the fleece around between the disks. If the disks are sticky with old oil residue then I use a little alcohol on the fleece and follow the same procedure as before. Again gently and be mindful of the spring. Remember any time alcohol is used don’t allow it to drip onto the finish of the machine especially when the finish is shellac. If it does get on the shellac dab it off immediately (within seconds) don’t rub it off. Allow it to evaporate entirely, allow time for the shellac to dry and then wipe it down with SMO (sewing machine oil). After using alcohol on the disks I always buff with a clean dry piece of fleece. I find it easier and less stressful than taking a tension assembly apart to clean especially if all that needs cleaned is the disks themselves. I hope some of you find this tip as handy as I have. Until the next time may you never forget to close the rotary cutter, and if you do forget, may you not be reminded by the edge of the blade. Never miss a post from The Quilting Room sign up now to get new posts delivered to your inbox each morning! You can also find me on Facebook, Facebook Group, Twitter, G+, YouTube, Instagram, Craftsy and Amazon. I'll give this a try. I always heard to use dental floss, but isn't that pretty much just like thread? It didn't make sense to me--this does! Thanks.